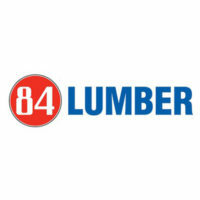 84 Lumber is a leading supplier of building materials and supplies, and pre-made components for residential and commercial purposes. It also provides home projects and plans, as well as insurance and professional installation services. It got its name from Eighty Four, Pennsylvania, where it was founded in 1956. Hardy brothers Joe, Norman and Bob , together with Ed Ryan and Jack Kunkle amassed $84000 to jumpstart the business. Years after, only the Hardy boys remained as owners. As the leader in the building materials industry, several recognitions were received by the management. Most recent was the inclusion to Forbes’ 2016 list of America’s 250 Best Mid-Size Employers. It currently employs about 5000 workers in over 250 stores. Employees have access to numerous benefits to help them build their future. Health, dental, vision, life and disability insurance plans ensure stability. Discounts, holidays and retirement plans, plus the 401k are also part of the compensation package. Working in the organization can be an educative one according to its employees. They like the training programs where they learn a lot about the industry. The hours are long, but performance bonuses await those who work hard. How old do you have to be to work at 84 Lumber? Work at the stores can be hazardous due to the nature of the industry. You must be at least 18 years of age or older to work at the company. Sales Representative: Sells company products to customers. A sales rep must also know how to find out the needs of buyers to ensure a good deal. He/she must also be able to create sales away from the store. General Laborer: Duties include a wide range of physical labor. This may include cleaning, loading and delivering products and tools, carpentry, welding, operation of various construction tools, etc. Delivery Driver: Drives company vehicles to transport products to and from the stores. Additional related duties may be given by the manager. Applicants who want this position must be willing to work graveyard shifts. Manager Trainee: The main role of a manager trainee is to work closely with the manager to gain knowledge and experience. Position serves as a stepping stone to the managerial grounds. The management actively hires new blood to fill in the constant openings. Some available positions are project coordinator, project manager, yard person and associates, and specialized technicians. There are positions at the stores and the corporate headquarters. Applicants must fill out the application form containing basic information and a questionnaire. The interview may come after a few days or a month depending on the position. Application forms are also available online on the company website. Along with the completed form, applicants must upload a copy of their resume to continue with the process. Links can be found below. Make sure all the information on the application are accurate. Specify which positions are you gunning for, and why you are fit for the job. Do not use generic terms but use job-specific ones. Observe the same level of accuracy in writing your resume. If you have previous experiences on construction or related companies, be sure to include it on the resume. The interview process differs depending on the store. Some only require one 1:1 interview, while others hold as much as 3 sessions. Questions are direct and basic. The onboarding process may take longer than the interview process. The company is one of the best, as far as working culture is concerned. Though the hours are long, the friendly atmosphere helps balance the scales. Staff and management are a family. Only drawback is the unwritten rule in 84: to advance, be willing to move. Last November 14, 84 Lumber celebrated its 60th anniversary. Celebrations were held in all company stores and headquarters. It truly is a milestone for a company that almost hit bankruptcy. 84 is known for having ready-made disaster relief products. Combining their construction genius and smooth logistics, the company teamed up with FEMA and other agencies to lend relief housing and products worldwide. The company is also an active participant in fundraisers and social programs. Committed to be a beacon of hope for the community, 84 Lumber organized Building Hope to support various charitable organizations.